Is Tom Cruise really enjoying a comeback? Tom Cruise garnered lots of buzz and goodwill after his performance on the MTV Movie Awards. (CNN) -- Tom Cruise has been riding a train of goodwill and good press since his recent performance as foul-mouthed producer Les Grossman on the MTV Movie Awards. There's been tons of positive press, glowing reviews of his performance and talk of a Les Grossman film. But if the less than stellar box office opening of his recent film "Knight and Day" is any indication, it's not Cruise that fans love so much as it may be the balding, mercurial Grossman he played in the movie "Tropic Thunder." "There's something about him which turned people off, and he's having difficulty turning them back on," said culture and branding expert Adam Hanft. "Not that he isn't trying." It's been years since Cruise cooled off his white-hot career with his infamous couch-jumping interview on "The Oprah Winfrey" show. That, coupled with high profile run-ins with everyone from Brooke Shields to "Today Show" host Matt Lauer, had some predicting the end for one of Hollywood's biggest stars. Perhaps the public and the media were just being glib, but the love Cruise was shown for his MTV performance did not translate into ticket receipts for "Knight and Day." Tony Sella, co-president of marketing for Fox which released the film, fell on the sword and took the blame for the slow start in an interview with The Los Angeles Times. "Blame me, don't blame Tom Cruise," Sella told the publication. "We did lots of focus groups for this film, and no one ever said there was a star problem. Never. Tom Cruise was not the issue. I take full responsibility." It had seemed that Cruise's star was back on the rise after he recently opened the MTV Movie Awards with Jennifer Lopez. Busting the moves choreographed for him by Tyce Dioro and Darrin Dewitt, Cruise appeared to dance right back into America's hearts. 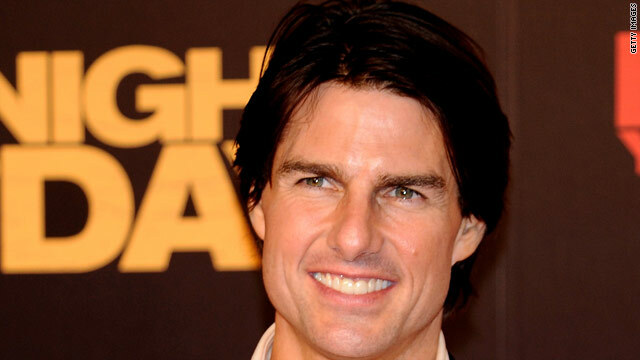 "With a three-minute booty-shakin' performance, the actor himself officially ended the era of Tom Cruise bashing," wrote blogger Zach Dionne on the celebrity site Popeater. "Oprah's couch? Scientology? The eyepatch in 'Valkyrie'? Fuhgeddaboudit!" Yet for all of the talk of Cruise regaining his swagger, the debut of his new film co-starring Cameron Diaz was a borderline flop. The anticipated blockbuster only pulled in $27.8 million in its first five days of release and the reviews weren't exactly powerhouse either. "Despite its impressive pedigree and unshakable assurance, 'Knight and Day' is nothing more or less than an average popcorn flick," said New York Daily News writer Elizabeth Weitzman in her review of the film. "That's not to say you won't have a decent time, just that you'll have forgotten it by the next morning." "It's not horrendous, but it's far from great and it opened up in third place in it's opening week far behind 'Toy Story 3,'" wrote David Schuster in his review for Chicagonow.com. Expert Hanft said Cruise's past outspokenness on his association with the Church of Scientology cannot be ignored. "Religion is a tricky thing," he said. "Movie stars can go off the rails, end up in rehab and drink and drug and yell at their daughters, but we as a society are very different when it comes to religion." Style and marketing expert Rachel Weingarten said she believes "people will always love Tom Cruise" though that may not necessarily translate to box office success. "Image problems, weirdness, rumors about him and his wife or anything that comes out, there is a certain soft spot that some people do have for Tom Cruise, " she said. "Conversely, he did alienate tons and tons of people who just don't want to look at him in a movie. The problem with this movie is I think it just wasn't good enough." Masters is an editor-at-large for The Hollywood Reporter and a former entertainment reporter for National Public Radio. Having seen the film, Masters called it "Mr. and Mrs. Smith on steroids" and said it might not have been the right vehicle for Cruise to reclaim his blockbuster, movie star magic. "It may be that they were trying to put Tom Cruise back in the setting that fans like to see him in, an action film where he's charming and funny," she said. "But to have a career now, at this point in his life when there's a whole generation of kids who are not really familiar with his films or don't necessarily care about them, that he needs to reinvent and not necessarily be that guy." And Masters says that goes for a reported planned Grossman film also. Up until this point the Grossman bit has been just that and there is no guarantee that such a film will be a hit either, she said. "I don't know that Les Grossman translates to Tom Cruise in most people's minds," Masters said. "They are aware that it's Tom Cruise and it makes it funnier because it's Tom Cruise but I'm not sure that translates into 'Now Tom Cruise is a big action movie star again.'"